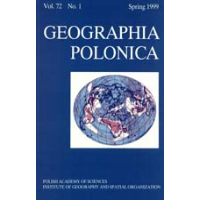 Geographia Polonica is a scientific geographic journal that has been published by the Institute of Geography and Spatial Organisation of the Polish Academy of Sciences (known until 1973 as the Institute of Geography PAS) since 1964. In 1999, Geographia Polonica started on a road that saw it transform from a series of topical volumes, typically one per year, into a semi-annual periodical and, in 2012, into a quarterly. Each year issues are published in the folowing months: March, July, October, December. 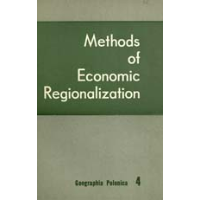 Geographia Polonica follows an interdisciplinary approach where papers on spatial planning, environmental protection, ecology, and broadly understood social and economic studies with spatial aspects feature alongside typically geographical pieces. From the very beginning, one of our objectives has been to popularise the achievements of Polish geographers on an international scale. Geographia Polonica is the unquestionable leader among Polish geographical periodicals published in the English language. This status has been confirmed by the Committee on Geographical Sciences of the Polish Academy of Sciences and is also clear from rankings of absolute numbers of citings and from other indicators (e.g. Impact Factor and h-index), as published by the ISI Web of Sciences, Scopus and Google Scholar. Between 1964 and 2012 we published about 500 papers on human and physical geography and took contributions from such authors as Prof. Stanisław Leszczycki (organiser and first head of the Institute of Geography PAS), Kazimierz Dziewoński, Rajmund Galon, Alfred Jahn, Maria Kiełczewska-Zaleska, Mieczysław Klimaszewski, Jerzy Kondracki, Stefan Kozarski, Jerzy Kostrowicki and Henryk Maruszczak. The year 2012 saw the launching of several initiatives. Geographia Polonica not only became a quarterly, but was also the only geographical journal in Poland to be awarded a targeted subsidy (given to the publisher IGSO PAS) by the Ministry of Science and Higher Education under the Index Plus programme. With this support Geographia Polonica has been better able to strengthen its international dimension, design and roll out a new look for its paper and digital editions, including a brand new website with a database of all its past published papers which are made available free of charge. 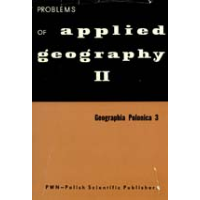 From the beginning in 1964, Geographia Polonica has had five Chief Editors, including Professors Stanisław LESZCZYCKI (1964–1981), Jerzy KOSTROWICKI (1982–1985), Piotr KORCELLI (1986–2000), Ewa NOWOSIELSKA (2001-2007) and Marek DEGÓRSKI (2008-2011). Professor Marek WIĘCKOWSKI has held this position since 2012. Geographia Polonica now only accepts contributions in English, although there were some cases of papers in French being accepted in the past. There are two permanent sections alongside the scientific papers, i.e. POLAND ON MAPS and BOOK REVIEWS, while other types of content, such as reports from conferences, appear less regularly. A paper published in our journal brings the author 15 points for the parametric score of his or her host organisation, as awarded under a communiqué of the Ministry of Science and Higher Education. This is not just the highest possible score for a Polish journal outside of the Philadelphia List, but also the absolute highest possible score for a geographical periodical. The Editor’s Team is making efforts to include Geographia Polonica in the Master Journal List of the Institute for Scientific Information. Since 2017 is on the Emerging Sources Citation Index. The full texts of the papers are available on this website thanks to the support of the Digital Repository of Scientific Institutes. (Project RCIN). 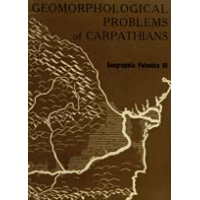 Geographia POLONICA is also available on SCOPUS, AGRO and ProQuest/CSA. If you would like to be advised of new issues of Geographia Polonica, please subscribe to our GP-Alert. We encourage contributors to send in their papers and other content, such as reviews and reports, for publication. Please find all the essential information required by authors on our website and we will also be glad to answer any of your enquiries by email or telephone. The paper version of the magazine is the orginal one. Former covers of the magazine in years 1964-2011.